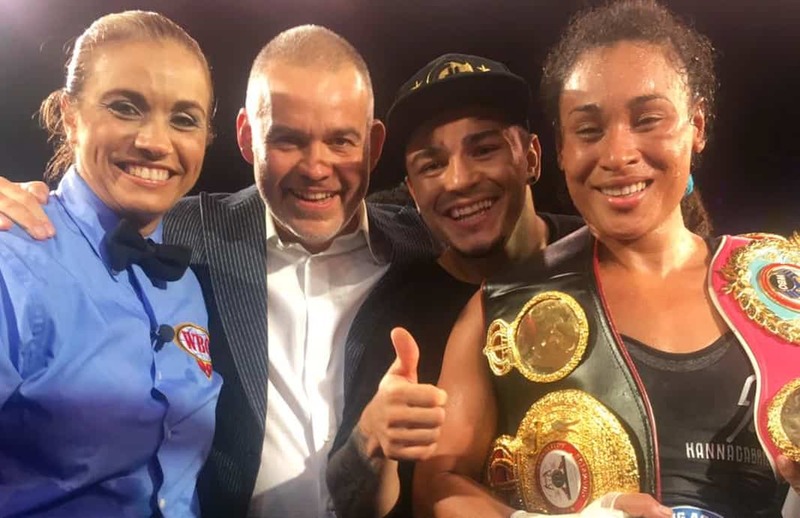 Costa Rican boxer Hanna Gabriels defeated Canada’s Natasha Spence by unanimous decision and retained both of her Super Welterweight world titles over the weekend. The judges’ decision after the 10-round fight on Saturday night was unanimous for Gabriels: they all gave her the win with a score of 99-91. The fight took place at the BN Arena in San José before a noisy crowd that never stopped cheering and supporting the Tica champion. Spence entered the fight throwing powerful punches and moving fast, looking for a quick victory. One of those punches landed on Gabriels’ left cheekbone, which looked swollen and bruised. Both fighters then lowered their guards and engaged in an exchange of strong blows that tested their stamina and resistance to punches. Gabriels, however, was more efficient and landed more punches, giving her the upper hand on points for most of the rounds. Spence tried to counter Gabriels’ offensive with repeated clinching, which forced the judge to constantly intervene to separate them. The Tica champion now has a record of 17 fights won (11 by knockout), one loss and a draw. Spence is eight wins (6 KO’s), three losses and a draw. Gabriels’ victory allows her to remain the World Boxing Association and the World Boxing Organization Middleweight (154 lb) Champion. Gabriels said following the fight that she was very happy about the support she has received from her fellow Ticos, and that she wants to keep defending her title in Costa Rica. Her previous fight was in Venezuela last June, where she defeated Uruguayan challenger Kattia Alvariño. Her next opponent is yet to be defined. Gabriels said she would love to fight against Oxandia Castillo, the only boxer who has defeated her.